Linked in its origins to Volkswagen, the company initially offered motor vehicle development work and consulting, but did not build cars until the German government asked them to design a car for the people, “Volkswagen”. This resulted in the Volkswagen Beetle, one of the most successful car designs of all time. However Porsche took its own individual brand name properly after World War II when Ferry Porsche decided to build his own car. The first models of what was to become the 356 were built in a small sawmill in Gmünd, Austria. The prototype car was shown to German auto dealers, and when pre-orders reached a set threshold, production (with Aluminium body) was begun by Porsche Konstruktionen GesmbH founded by Ferry and Louise. The 356 was road certified in 1948. We are Porsche specialists. Dozens of loyal Porsche customers have trusted us to service a Porsche similar to yours in our spacious workshop that spans across 9 servicing bays. Depending on the Porsche model and your driving style, we apply either a fixed service schedule or a flexible service schedule. For most models like Porsche Boxster, Cayman, Carrera, 911 Turbo and Porsche Cayenne there is a minor or intermediate service due every two years, while there is a requirement for a major maintenance service every 4 years. This is also dependent on the mileage that the car does in the respective period. A minor service usually includes engine oil, filter and brake fluid while a major maintenance service may also include spark plugs and air filter change. In our car service workshop we can carry out your Porsche MOT test as well as repairs and bodywork. With GSF Motor Works you maintain the Porsche Warranty as we strictly adhere to Porsche Service specifications and apply Porsche approved parts and accessories. 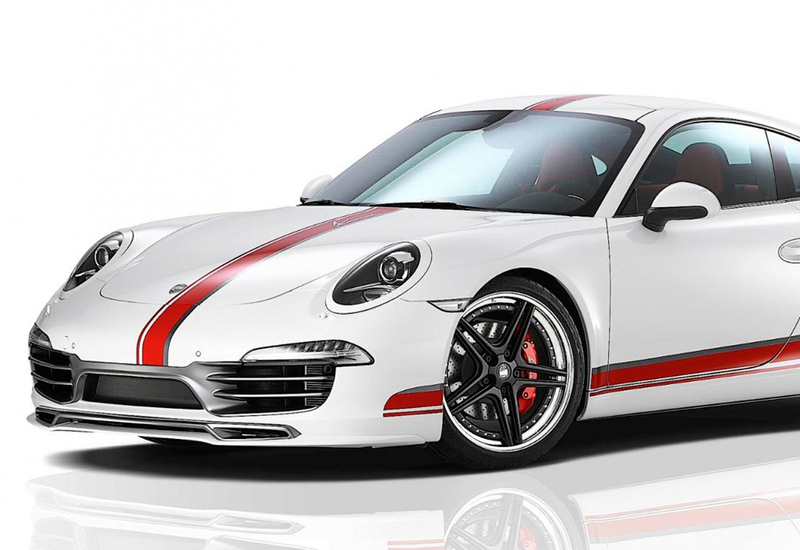 The Porsche Service Cost with us is a fraction of what main dealers charge. What we offer is not a cheap car service as many independent garages do – we offer a trusted value for money alternative. What we offer is not a cheap car service as many independent garages do. We serve Porsche London SW, West and Central area. We can provide for all your vehicle’s needs. Contact us for a quote now! An annual check can be tailored to your car’s requirements and can include on top of the recommended oil service other aspects like the wear levels on your car’s brakes, clutch and tyres. Electronic Diagnostics as well as visual health check of the vehicle constitute the main inputs of this annual check. Our lead engineers always overview and check any work done on your PORSCHE, and they finally conduct a thorough road test. I took my BMW M5 to GSF for some general cosmetic repairs as after owning the car for the past ten years from new, I have reluctantly decided to sell it. From the outset, the team were on the ball, attentive and very professional. The service advisor, Michelle, is a delight, She is always laughing but never seems to drop the ball. She is also very articulate and has an attention to detail. The main assessor there is a guy called VIP. Clearly very experienced , he missed nothing and knows his cars and each model. The quote to make good was extremely competitive and the quality of the work was perfect. I would recommend them to anyone. In case anyone thinks this is not an independent review. please contact me. Went for a general service in my Polo. A bit far away from my home in Old Street, but fair in pricing and fast. Couldn’t give enough stars ! They helped me out at the last minute and were so helpful. Definitely using them for all my car work in the future. Roberto was amazing. Thank you. From start to finish, GSF provided an excellent experience. Comment relates to service/ MOT of Audi A3. All the staff (including initial call, car pick-up and servicing) were courteous, helpful and knowledgeable. As well as this excellent customer service, the price was reasonable and the turnaround quick. I dropped off my car to have the tracking reset and asked Roberto at GSF to also look at a couple of other issues that were affecting our car. They did all the work efficiently and fixed all the problems. The great news was that they only charged me for the tracking job, which was very reasonable. I would highly recommend them and would use GSF again. GSF did a fantastic repair to my BMW Z4. You would never know that the bumper had been replaced and sprayed to match the existing colour. Great costumer care and the excellent valet was added bonus. I have been using GSF for years. Would highly recommend them to anyone. I was recommended this Garage who by a close friend. As new customer they immediately gave me a good feeling of competence and knowledge about my vehicle (Renault). Major server was completed without issue using good quality fluids and they pointed out (and fixed) some safety issues my previous garage had missed. The tracking was adjusted perfectly and the car drives perfectly now. Overall Very happy and will return when the next service is due. Thanks a lot GSF !! Found this garage to be very helpful and also extremely professional. They did a great job on my Range Rover from a simple service to diagnosing a fault with my alternator. But the best bit of it all is the price competitive and also the labour charge is alot less than any main stream garages plus the work is 100% bang on, so will be using them again for my wife’s Mercedes. I went to GSF after moving to South Kensington to service my BMW 3-series. The staff were friendly and car-literate. Best of all they tell you when you can have your car back and actually stick to it. Previous experiences with other garages promising it will be ready in one more day etc are just a nightmare. I am going to make GSF my regular garage. Great service. People were very helpful and polite. The car looked good as new and cost a fraction of what main dealer was quoting. Turnaround time was really quick too. This is hands down the best garage I have ever been to. I wouldn’t hesitate to recommend… and often do unprompted. Love these guys. Many people told me that repairing of the clutch will take a whole day and that’s the main reason why I really appreciate the efforts of these guys. They managed to repair it for about 5 hours and I was more than pleased by the job done. Thank you guys ! A vehicle health check is recommended prior to any travelling. We will check your vehicle’s tyres, brakes, lights, wipers, inspect the underside, and we will conduct an under bonnet check, including all levels and battery. The weather outlook is good! Drop your car off and time efficiently we will check and ensure that your vehicle’s air conditioning system works as expected for the season. The vehicle’s tyres are its only contact with the road surface! We will check the condition of your tyres. If they do need replacement we can offer attractive prices on all major tyre makes. Wheel alignment is also recommended. This will extend the tyre life and will ensure better handling of the vehicle on the road!